Students have the opportunity to officially work part-time during their studies and to participate in the exchange programs such as Erasmus, Erasmus +, Erasmus Mundus, IAMONET and other exchange opportunities with partner universities. The Department of Professional Orientation in UCW provides students and graduates in Vancouver with full information about employment, visa extension and residence. Consideration of the requirements and needs of each student: the main goal of the program is to provide the student with the comfortable educational process. The participant of the program will have a unique opportunity to extend his studies in Canada for one more year without additional payment for University Canada West. After studying in Canada for two years, the student will also be able to officially work in the country for three years. The capital of the Czech Republic – Prague is considered one of the most famous and frequently visited cities in Europe. It is a fabulous city of art, music, museums, exquisite architecture, delicious food, and unforgettable emotions. In 1992, the city center of Prague was included into the UNESCO World Heritage List. Currently, the Czech Republic attracts many students and young specialists from all over the world. It is European country with a stable economy and low unemployment rate. Because of these factors, the Czech Republic is considered to be one of the best places to live. In addition, Prague is the ideal place to start your professional career, because many international companies and business giants are located here. Moreover, the Czech Republic is recognized as one of the safest countries in Europe, so parents can be sure about the safety of their children. Prague is an origin of the dynamic student life! Do not miss the opportunity to enjoy your unforgettable student years in the heart of Europe – Prague! Vancouver is repeatedly recognized as the best city in the world for the living! The combination of a pleasant climate, colorful nature, exquisite architecture and high economic indicators make this place ideal for living, studying and building a successful career. Vancouver is a young and dynamic city. In this place, you have a unique opportunity to meet young and interesting people from all over the world, enjoy the international atmosphere and take advantage of all the opportunities opened by this place! Vancouver’s sightings are famous all over the world. The most impressive of them are the bridge in Capilano, the Stanley Park Aquarium, Granville Island and many more. 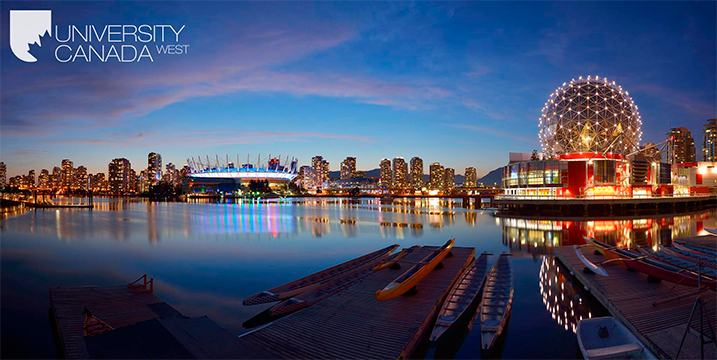 It is hard to describe in words all the beauties of this city and there is no need to, because participants of the program will be able to see all the beauty of the Vancouver by themselves! Canada is the second largest country in the world, which is rapidly developing and currently is within top 10 countries of the world. It is a place of adventures, incredible nature, and various business possibilities!